Julie Castle joins Cannon as Executive Vice President and Managing Consultant leveraging her years of experience, creative thinking and in-depth industry knowledge to help Cannon clients realize greater profitability through superior client service. "When I was looking to make my next career move joining the Cannon organization was a natural step." 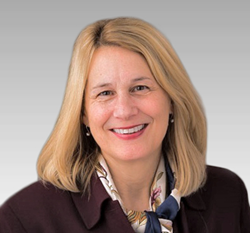 Cannon Financial Institute (http://www.cannonfinancial.com) announced today that Julie Castle has joined the firm as Executive Vice President and Managing Consultant. In this role Castle will serve as a senior consultant to select global wealth management and financial services firms. Castle brings with her an award winning career history as the three time recipient of the American Bankers Association “Top 25 Most Powerful Women in Banking Team Award” (2012-2014) as well as the Independent Community Bankers Association Award for “Best in the Business” (2011). Castle most recently served as Chief Executive Officer, Zions Wealth Management and Chairman, Zions Trust N.A. Founded in 1961, Cannon is recognized as one of the leading global consulting and professional development firms serving the financial services industry. Cannon’s offerings include industry-forward instruction in personal trust, corporate trust, sales, relationship and practice management, retirement planning, operations, risk management, audit and compliance and investment experience. Cannon’s tailored consulting and blended learning solutions help organizations understand and act on change. Cannon shares their clients’ belief that everyone deserves sound advice and exceptional service. For additional information, visit http://www.cannonfinancial.com.